Creating a personalized look, where your best features are optimized to their most beautiful extent, the makeup classes and makeup application services for everyday and and special occasions at Picasso Nails & Hair rank among the best in Houston. 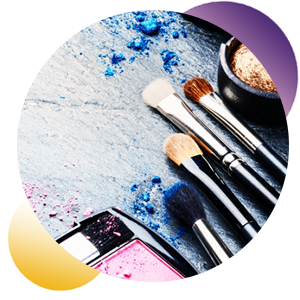 From basic instructions for the newest makeup users or for those whose skin is beginning to age, to special occasion makeup applications, precision and expertise are used to create looks that exhibit and highlight your best features. The intent is to take your God-given, natural attributes and optimize them – making you simply incredible. Working with your skin and facial features, each makeup class lesson is geared to help you apply makeup in the most effective manner. Each personal session helps to protect the health of your skin while optimizing your best looks, ensuring that no matter your age, you’ll be able to present your best everyday look. From proms to parties or weddings, the desire to look stunning is understandable. With personalized application sessions, you’ll be able to match the glamour of the event with the appropriate amount of makeup, ensuring your total confidence in your appearance. Schedule your personal makeup session with one of our special occasion and wedding makeup artists with Picasso Nails & Hair today to ensure that your makeup brings out the best in you, any given day of the year.